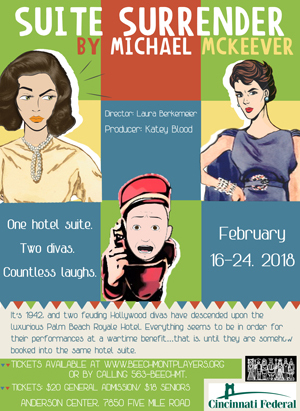 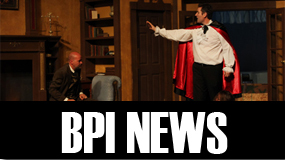 Suite Surrender – Beechmont Players, Inc.
It’s 1942 and two feuding Hollywood divas have descended upon the luxurious Palm Beach Royale Hotel. Everything seems to be in order for their performances at a wartime benefit…that is, until they are somehow booked into the same hotel suite. 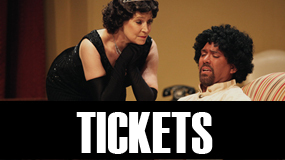 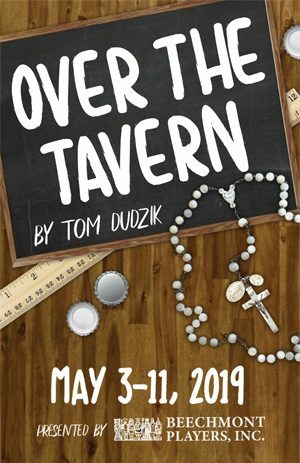 Close encounters, mistaken identities, overblown egos, double entendres and a lap dog named Mr. Boodles round out this hilarious riot of a love note to the classic farces of the 30s and 40s.